Two OSU scientists have produced the first collection of maps that show climate, soil characteristics and plant species suitability for the People’s Republic of China. OSU researcher Chris Daly created PRISM, a unique spatial data analysis tool, to map climate parameters such as precipitation and temperature with great precision. See maps generated by PRISM showing precipitation in China and in Oregon (PDF). Two OSU scientists have produced the first collection of maps that show climate, soil characteristics and plant species suitability for the People’s Republic of China. Their China atlas is the result of 10 years of research and has paid off by increasing grass exports from Oregon to the world’s most populous nation. The 296-page atlas, Visualizing China’s Future Agriculture: Climate, Soil, and Suitability Maps for Improved Decision Making, was compiled by David Hannaway and Chris Daly. Hannaway is a forage crops specialist in the Department of Crop and Soil Science, and Daly, a climatologist in the Department of Geosciences, directs an OSU climate mapping group. Land managers in China are interested in forage grasses to support livestock production and to control soil erosion problems on rangelands. They also want turf grasses to beautify their cities and suburban areas. Hannaway and Daly worked with the Oregon Grass Seed Council to evaluate turf, forage and conservation plants for use in China and to determine the market potential for Oregon-grown grass seed. Before 1992, Oregon sold no grass seed to China. 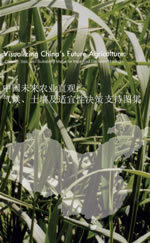 In 2003, Oregon growers exported to China more than 14 million pounds valued at $8 million to $10 million. With funding from the U.S. Department of Agriculture and the State of Oregon, Daly and Hannaway conducted applied research, educational demonstrations and workshops throughout China. Both faculty members are part of the OSU China Working Group, a cooperative effort between OSU and the People’s Republic of China to identify mutually beneficial research and education projects and programs.